I have been reading The Infinite Atonement by Tad R. Callister. 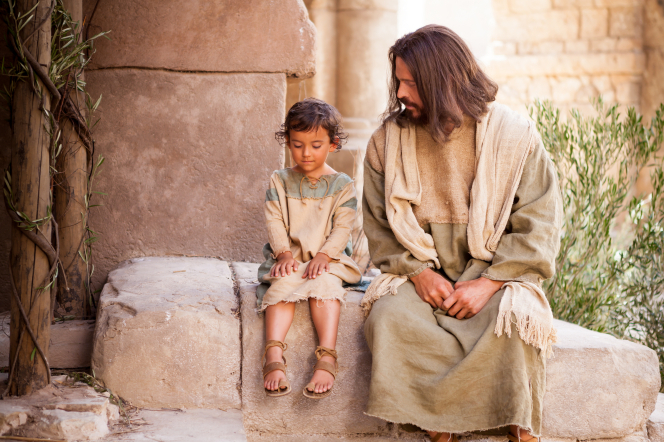 It is an amazing, inspiring, and beautiful work about Jesus Christ. In chapter 23, it talks about the blessing of grace. The whole grace versus works discussion is touched upon and he mentions 2 Nephi 25:23 in the Book of Mormon. The way He perfects us is by sharing the Gifts of the Spirit. These godlike attributes empower, ennoble and lift us to become better than we could be on our own merits—in other words, they help us to become godlike. Over the years, I’ve listened to and taught many lessons about the Gifts of the Spirit…but not until recently did I understand the power those gifts bring us. I believed we were each born with at least one gift and we could develop more throughout our lives just by being obedient and righteous. When I read this, it changed my whole outlook. I had been living my life as if God would decide which spiritual gifts He would bestow on me and when. And maybe I’d only get those when enduring a trial of some kind. Kind of like the doctor handing a child a lollipop after giving him a hurtful shot. God is anxious to pour out as many spiritual gifts as I am willing to ASK and SEEK after through prayer and determined effort and reliance upon His atonement. He doesn’t want me to just sit and wait for Him to perfect me. So how can we know what spiritual gifts to ask for? Callister suggests we take a good look at ourselves and figure out where we are weak, and then seek after the spiritual gift that would countermand that weakness and make it a strength. He gives this quote by President George Q. Cannon to show what he means. Through God’s grace, He helps us identify weaknesses so we can be humble and repent. That step is where I usually stopped after in the past. But if I push further, I can begin an intent quest to receive the gifts that will fill the holes those weaknesses left in me. If I lack courage to stand up for the truth, I can repent and pray for the gift of boldness and courage. If I bite my nails (which I sadly do), I can seek after the gift of awareness and self-control to overcome that bad habit. I don’t have to just sit and wait and hope God will shower random spiritual gifts upon me. I can seek out what tools, or gifts, I specifically need to overcome my flaws and failings and be one step closer to perfection. That doesn’t mean I do the work to perfect myself. It means I seek the grace of Christ through His atonement, hoping and praying for specific spiritual gifts I need from Him to become better than I can possibly be on my own. That is beautiful doctrine… and it has made contemplating my weaknesses and sins not a depressing prospect, but a hopeful one. I see where I am weak, and have made a list of gifts I need to overcome those flaws. This quote by Parley P. Pratt, an early member of the Church in the 1800’s, lists many of these gifts we can seek after. I don’t know about you, but that doctrine brings me much joy.